There's no better #throwbackthursday than making condensed milk toffee to remind us of happy primary school days. The days of running out of school to hover around the condensed milk toffee vendor and savor the creamy yet hardened candy. 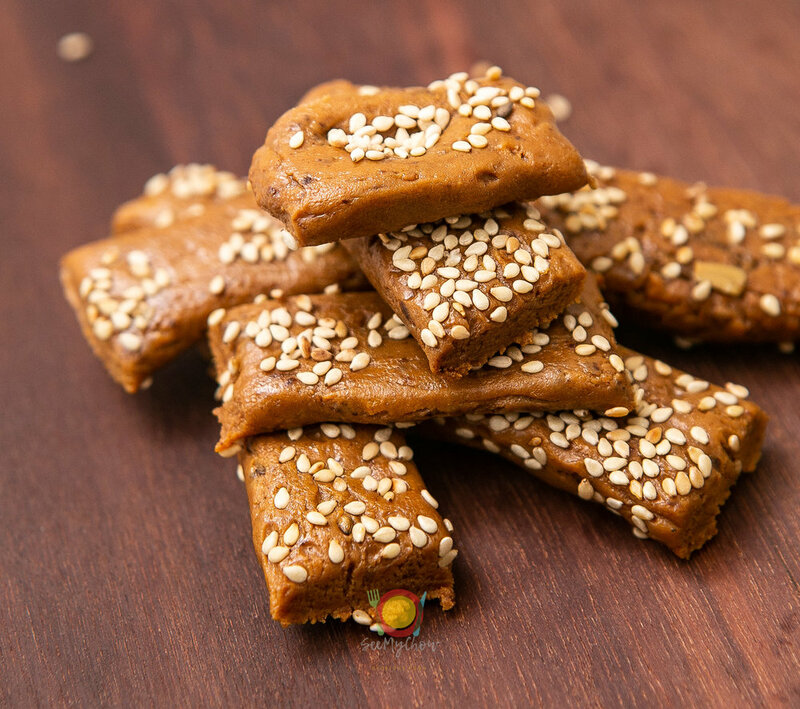 Condensed milk toffee is one of Ghana's most beloved local sweets and sighting one always makes one nostalgic. And I was feeling all sorts of nostalgia when I decided to make this sweet but with my own twist on the ingredients. Locally many vendors can make the sweet without margarine but for a richer and more creamy sweet use margarine. A tip handed down by my mom. I used Blue Band Spread for bread for it's light texture. This is an easy recipe requiring your time and love with very little ingredients. Three tins of Peak 78g condensed milk . 1. Heat one ladle of margarine in a saucepan over moderately low heat. 2. Stir margarine slowly till it melts. 3. Open condensed milk with a tin other and pour all three tins into the melted margarine. Stir. 5. Add one teaspoon of vanilla essence to the mix. 6. Stir through, scraping bits off the side of the saucepan. Mixture will thicken and turn a golden brown colour and stiffen up like a dough or almost-cooked banku. 7. Turn out the thickened mix onto the chopping board. 8. Oil your hands with a bit of the margarine to reduce burn and to ensure a smooth surface on the candy. 9. Split mix into three little mounds. Sprinkle sesame seeds onto board surface. Using both palms as a rolling pin, roll the mix through the seeds to create a 1 inch strip. 10. Cut into three inch long rectangular cubes. 11. Allow cubes to completely harden. 12. Enjoy as a snack or serve as a dessert item. It's a hardened sweet yet melts into a creamy chewy mush after much satisfactory roving in the mouth. Store any extra's in a tightly fitted jar. It will keep well also stored in the refrigerator. Did you enjoy this recipe? Try it out and tag @seemychowon Instagram for a feature!